Why introduce genetics into your practice? Certainly it's "cutting edge" and patients are asking about it, but my experience with genetic testing and interpretation taught me that the best reason to use it is that it works. It takes your skills to a new level. You want the best for your patients and more and more they're asking for a higher level of wellness. My guess is that, like most physicians, you're hearing more patients ask "Why?" "Why is my blood pressure high?" Why am I depressed?" Then they want to know, "Isn't their another way to treat my ______ without taking a drug? Isn't it just covering up symptoms?" The global answer to their question is "Genetics and epigenetics." A good start that elevates lifestyle medicine to it's rightful place as a major player in the Nature/Nurture balance that manifests as our health. However, if you want to take that to the next level, then genetics answers specific questions and guides therapeutic interventions. ... disrupt neurotransmitter removal, thereby increasing anxiety, sleeplessness, and more susceptible to binge eating. ... decreases your retention of potassium. ... COMP SNPs reduces your ability to break down catecolamines, thus increasing mood swings and blood pressure..
... interferes with the conversion of glutamate into GABA, a neurotransmitter with a calming effect. ... disrupts the methylation cycle which, because it influences so many functions in the body, increased may explain your miscarriages and depression. ... mitochondria are the power-houses of the cells. Weakness of mitochondrial genes might explain your fatigue and high levels of oxidative stress. ... slows the metabolism of your medication so that it stays in your system longer than expected and causes side effects. ... increases the likelyhood that NSAIDs will damage your liver. ... increases your sensitivity to salt. ... makes it more likely that you'll have bleeding problems if given this anticoagulant. ... decrease your ability to detoxify hyrdrocarbons produced from well-cooked meat which are associated with certain cancers. ... increases your risk of autoimmune disease resulting from accumulation of free radicals. Most importantly, by knowing your patient's genetic predisposition, you can recommend the lifestyle solutions most likely to help. This is personalized, lifestyle medicine at it's best: Knowing your patient and implementing specific therapies for enhancing their health. And patients love it! They respond with, "This is the first time a doctor has ever given me reason to hope." Patients are wary of one-size-fits-all prescription medicine. They want a diagnosis and treatment plan that resonates with who they are, their family health history, and their lifestyle. Genes answer questions at a fundamental level. The Natural DNA Solutions report provides you with an opportunity to incorporated genetics into your practice. Which health professionals can benefit from NDS reports? MDs, DOs and NPs use genetics to guide their drug prescribing and find it valuable when they chose to introduce lifestyle solutions. Chiropractors and physical therapists find genetics useful in formulating exercise programs and tracing the roots of chronic joint pain. Naturopaths and other practitioners already using lifestyle medicine find genetics enhances the individualization of treatments. Nutritionists discover that genetics motivate healthy nutritional choices, uncover causes of food reactions, and improve metabolism and weight control. Psychiatrists and other mental health workers gain insight to a patients behavior based on genes regulating neurotransmitters, hormones and overall metabolism. They find that nutrition and supplements can work around these challenges without always resorting to drugs. Acupuncture is enhanced by reducing inflammation and oxidative stress. Any professional stumped by a diagnosis or confused by a patient's reaction to treatment. Any healthcare provider who seeks the cause of their patient's illness. I don't know much about this field, will I be able to use it effectively? If you've had any experience or training with medical genetics, you know this is a powerful tool. If you've seen this tool in action, you know it can take the guesswork out of complex health problems as well as provide motivation for patients wanting to improve their health. ...to read, analyse, and discuss genetic reports with patients? Your time is valuable and it can take hours to prepare and present results. And, even if you had an analysis, what do you do about a SNP in a MTHFR, COMT, MAO, DAO, SOD, GAD, CYP, or any of the dozens of other variations your patient may have? You didn't learn this in school and it can take days of seminars to catch up with this great new, but complex, technology. The easy thing to do is to set it aside and hope it goes away. But you know it won't. Patients are probably already asking you about their 23andme genetic reports. You want to help, but don't see how. That's where Natural DNA Solutions comes in. Highlighting important SNPs and how they may be impacting their health. Recommending health strategies they may want to consult with you about. Natural DNA Solutions reports are individualized for each patients and generated using raw data from 23andme.com ($199 for saliva DNA test). With this data we produce a 150+ page report that provides them with a wealth of health information that they are encouraged to discuss with you. 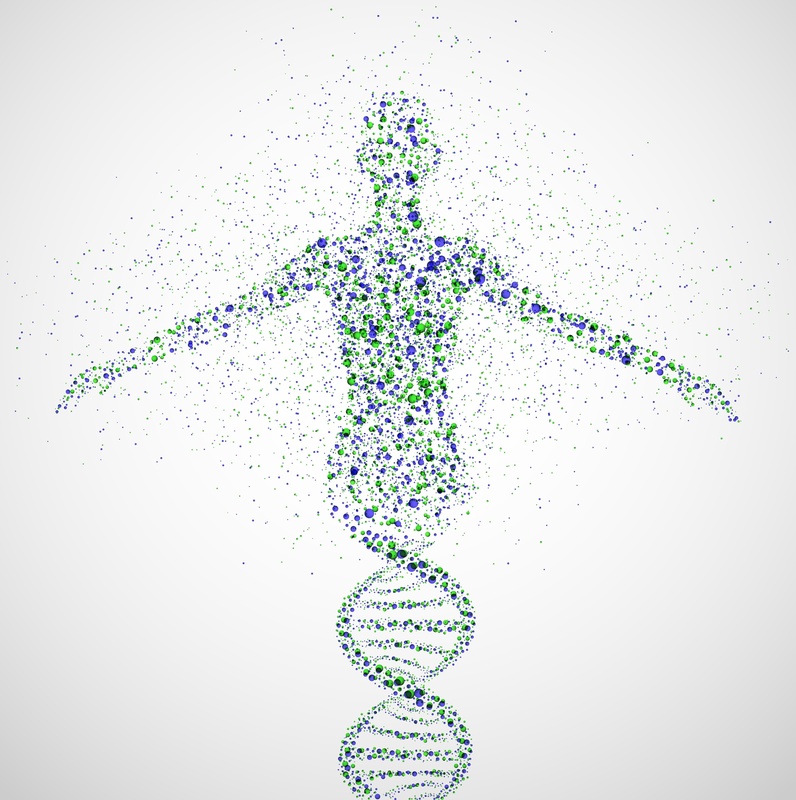 How can I implement Natural DNA Solutions into my practice? 2. Send your patients to www.NaturalDNASolutions.com and have them log into the Professional Portal using a unique pass code we can provide you with. This entitles your patients to a $50 discount on their report: $99. After your patient receives their NDS report, we recommend they print it out and take it with them to their next appointment with you. You can, of course, choose to have them share it with you electronically. As is often the case, patients are driving demand for DNA analysis. An example is vitamin D. The research on the importance of vitamin D beyond its use for bone health was available for decades and ignored by most of the medical community until patients started asking doctors about it. Because of the patient push, now the importance of vitamin D is common knowledge. Here's a number that is meaningful: 23andmecom. has run over 650,000 genetic tests. Most of these early adopters are disappointed with their 23andme reports. Why? Because 23andme doesn't provide a genetic report that gives them any useful information about what their health issues are and what to do about them. That's not the role of 23andme, but that's what their clients want. So, that's what the NDS, with your help, does. Together we can turn that genetic data into a meaningful tool. The NDS report is very comprehensive - and long! Where do I start? That's easy, you do what you always do: start with the patient. Review their health history, exam and labs, then correlate that information with their genetics. So they have genes that potentially increase blood pressure, but they've stayed active and fit and never had a problem with blood pressure. Great. Ignore those genes. On the other hand, they're having hard-to-pin-down food reactions. That's your clue to look at the genes related to food reactions. Likewise, they have fatigue and high free radicals. That information points you toward the mitochondria genes. I can review an NDS report with patients in 15-30 minutes, just by going quickly through their health history and focusing on the most-likely problem genes (which are part of the NDS report). We then develop a plan and they return every 2-3 weeks as we gather more information and see how they respond as we address their genetic mutations. Want to get started providing genetic health reports? We can supply you with flyers and access to the Professional Portal.